This is where you can find my presentations from different SQL Saturday, SQL Rallies, PASS Summit, User groups, SQL Bits and so on. Azure Data Factory provides a managed way to orchestrate the collection, movement and transformation of structured and semi-structured data together. It works both with on-premises and cloud data and it has – of course – a powershell interface, enabling you to manage it without the bling of the Azure portal. But is it useful, is it fast, is it easy and powerful to use ? 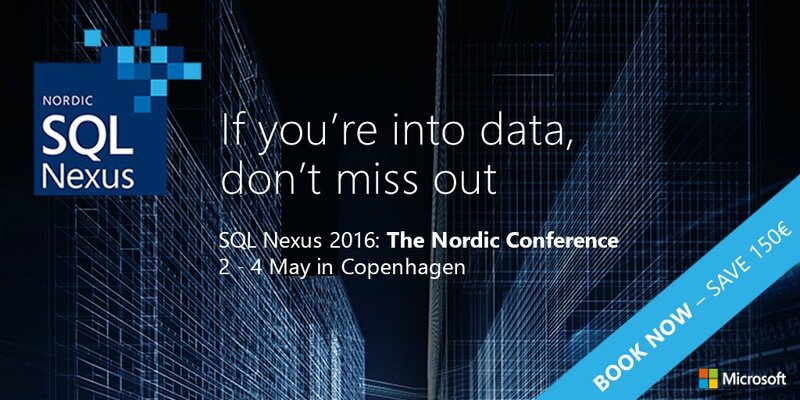 And most of all is Azure Data Factory the new SSIS ? These are some of the questions that might arise, when reading about this new PaaS and that we will answer together in this demo packed session where will we go through orchestration, consumption and administration of data through the ADF pipeline. SharePoint – let’s admit it – is here to stay; It has become the business collaboration platform of choice for the enterprise and the binding element in the Office family of tools. However deploying and configuring can be a challenging task for the IT pro. In this session we will walk through the configuration of a complete on-premises BI platform with SharePoint. We will configure different scenarios, and the technologies necessary for building the infrastructure. After this session you will be able to setup the applications and all the supporting services to make SharePoint a successful and performant BI platform. From Excel services to Kerberos delegation..
With Azure Machine Learning one is able to use Best of Class Algorithms to build Predictive Analytics models in a simple and compelling way. Downloads and prepares several years of demo data and storing it in a dedicated Azure Blob Storage account. Create a storage account and container for the HDInsight Cluster. Create a SQL database server instance and a SQL database for the Hive Metastore. We will also setup the necessary firewall rules so that you can access the server directly. The HDInsight cluster is provisioned and configured for access to the sample data. A partitioned Hive table is created over top of the sample data. Did you know that Power View is not any longer limited to getting data from Tabular models ? Now that Power View users can connect to multidimensional BI Semantic Model (Cubes) we will have a look at how to get the best out of this interactive data exploration, visualization and presentation for multidimensional models. The session we’ll present – An understanding of the Multidimensional Model Objects in Power View – How to create a Shared Report Data Source Connection to a Multidimensional Model – How to create a Power View Report with a Multidimensional Model Data Source – An visual exploration of a Multidimensional Model by using Power View . SharePoint databases are considered a black box – touch them and you lose support. Furthermore, SharePoint leaves an unintelligible track of database names and GUIDs on your server. They are supposed to scale, but how and how much? Here are some techniques DBAs should be aware of to optimize SharePoint performance and scalability. Do’s and Dont’s for maintenance and so on. This experiences based on real-life experiences, will show you how to tune your SQL Server for SharePoint and how to customize your SharePoint installation so that it fits your IT conventions, not the other way around.